Beautifully proportioned, very elegant and at the forefront of wedding trends ghost chairs are where it’s at! 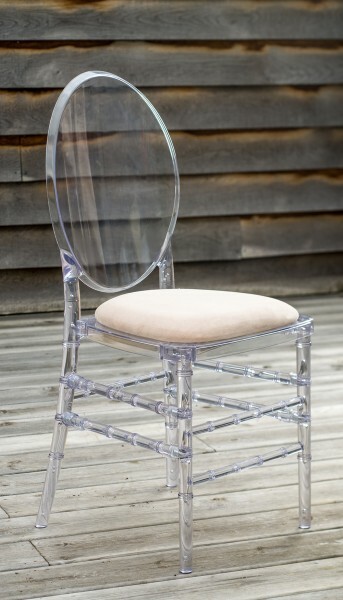 Our ghost or crystal chiavari chairs are chic and look very smart with their ivory seat pads. To be a trendsetter why not mix and match ghost chiavari chairs with our limewashed chiavari chairs for a really contemporary look?